When Walter F. Starbuck, the least celebrated of the Watergate conspirators, is freed from jail after two years, his first 24 hours of freedom take shape with the unforeseen turns of fortune and moral innuendo of an urban fairytale. The author's other novels include "Slaughterhouse 5". 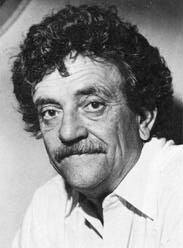 Kurt Vonnegut was born in Indianapolis in 1922 and studied biochemistry at Cornell University. During WWII, as a prisoner of war in Germany, he witnessed the destruction of Dresden by Allied bombers, an experience which inspired his novel SLAUGHTERHOUSE FIVE.